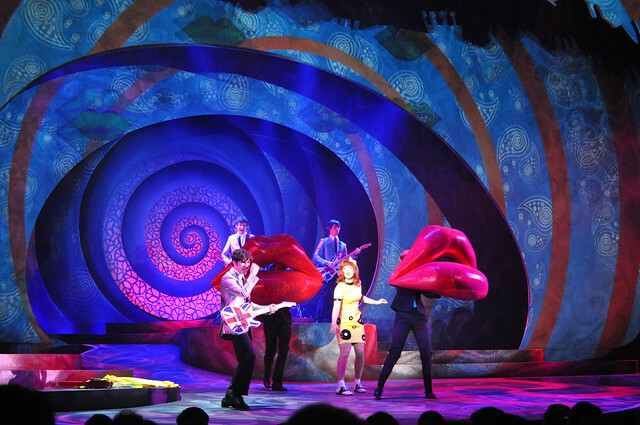 British rock ’n’ roll is once again invading the colonies with the debut of “London Rocks” at Busch Gardens Williamsburg.” The new show that mixes live singing and dancing with stunning lighting and animation effects takes audiences back in time to when British rock infiltrated our culture and forever changed music. 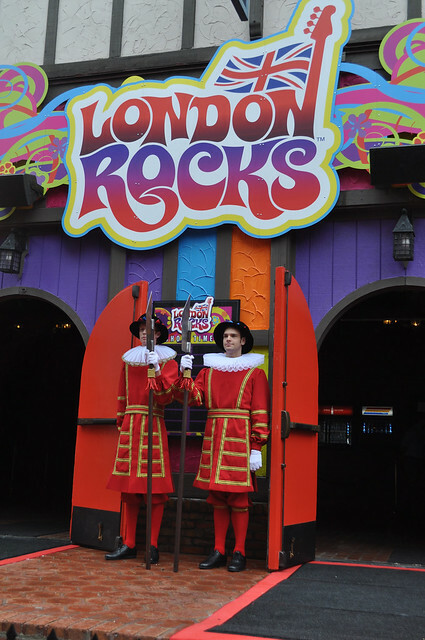 London Rocks officially opens to guests May 23, but the park offered a sneak peek of the show to invited media and select guests a week early. 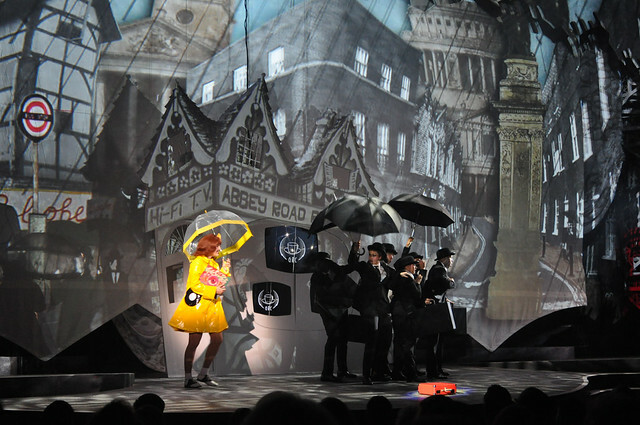 It’s a 27-minute multi-media stage show, featuring a img class=”aligncenter” src of live singers, musicians, and dancers whose performances are enhanced by an immersive and interactive set that transports guests to the heyday of British rock. Through the lyrics and music of songs made famous by British artists in the 60s, 70s, and 80s, London Rocks tells the story of Lucy and Guy, a young couple who finds love in a record store, as they navigate through the victories and trials of life and love. 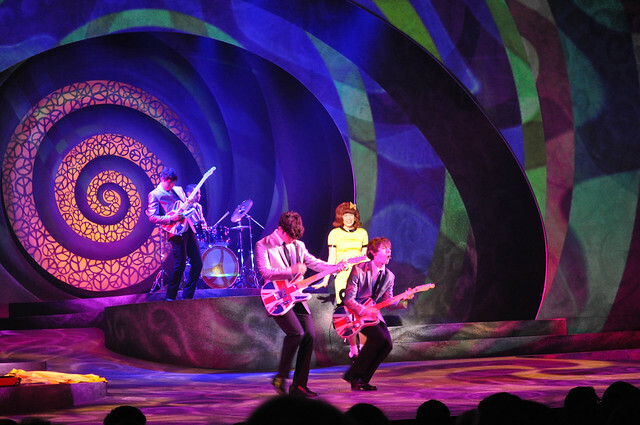 Show director Sam Buntrock said they wanted to capture the phenomenon of rock’n’roll in the ‘60s, ‘70s, and ‘80s and the lasting effect music has on our lives and culture. “It was about the innovation of music and about how we tell the stories of our lives,” said Buntrock. 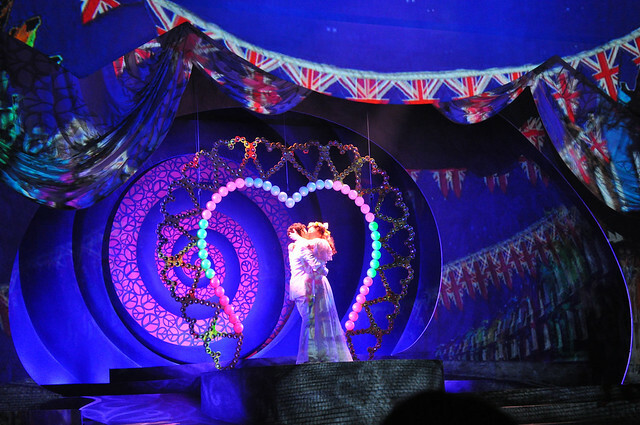 The show scenes demonstrate the different ways we use music to express our emotions, whether it is love or frustration. The featured songs bring those expressions to life. “Music brings us together more than anything else in our culture,” he added. The songs for London Rocks were carefully selected to tell the story, pay tribute to the era, and feature a variety of artists, such as Eric Clapton, the Rolling Stones, and – of course – the Beatles. While the songs capture the audience’s attention and hearts, they don’t always move the story forward effectively. However, they are always fun and upbeat, and they appeal to a wide variety of audiences. 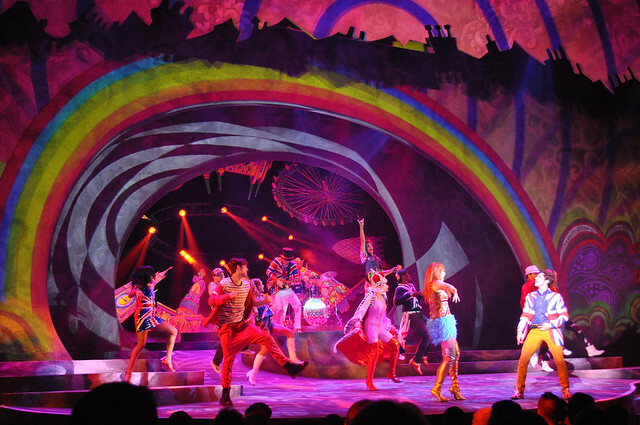 In addition to the songs, the stage, with its animated effects, is its own character in the show. For London Rocks, the Globe Theatre’s stage was completely redone to display the transformation of London after rock’n’roll was introduced. 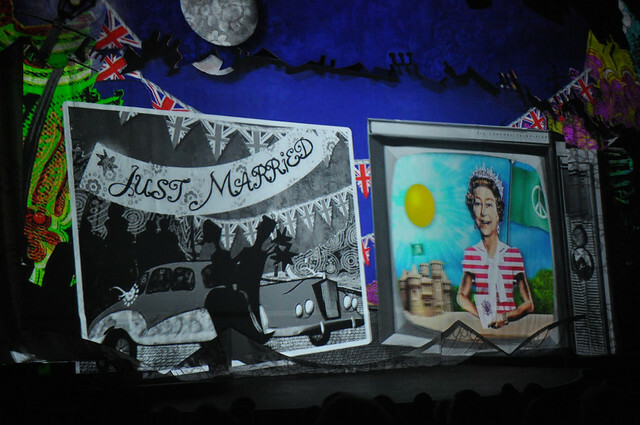 The transformation is facilitated by five state-of-the-art projectors, emitting 110,000 lumens, which produce custom video animation that shifts and turns with the scenes. These video images, projected over the stage, bring the scenes to life whether it is simulating a stroll down the street or a deep dive into the ocean. The video is stunning and interesting, and turns the stage into a setting as alive and bustling as London itself. More than 54,000 drawings of video animation cells are featured from the pre-show through the finale. 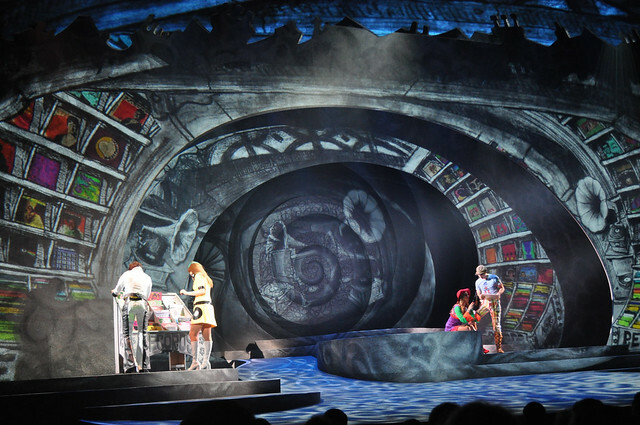 The detailed animations are a break-out and unexpected star of London Rocks and enhance the repeatability of the show; you won’t be able to see all of the details in one show. The animation also pays homage to British humor. Creative Producer Jason Kantrowitz said ensuring the show was true to British culture and the musical era was a top priority. “We wanted to be very authentic to this period of music that inspired us,” said Kantrowitz. 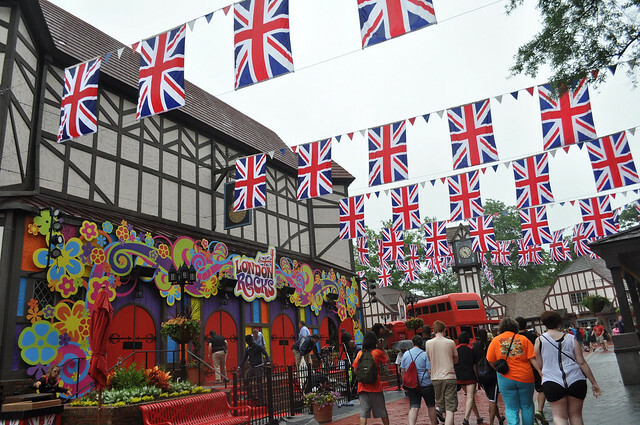 In addition to the Globe Theatre’s transformation, London Rocks’s theme extends to the outside English Village, which received subtle enhancement. 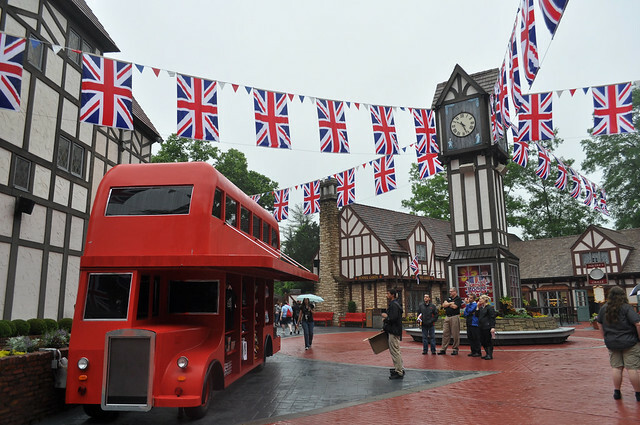 Dozens of British flags fly over the heads of guests, draped between buildings, and a double-decker bus has pulled up to the theater’s entrance, offering London Rocks merchandise. 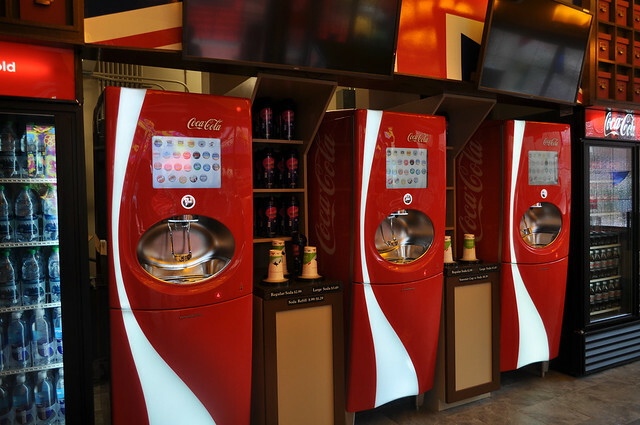 Also, Union Snacks, a self-serve drink and snack shop, opened across from the theater, featuring Coca-Cola Freestyle machines. London Rocks has brought a new life to the sometimes-stuffy English Village – just as rock’n’roll did to England in the ’60s. The show is perfect for guests looking for an attraction that will be fun for everyone in their party. 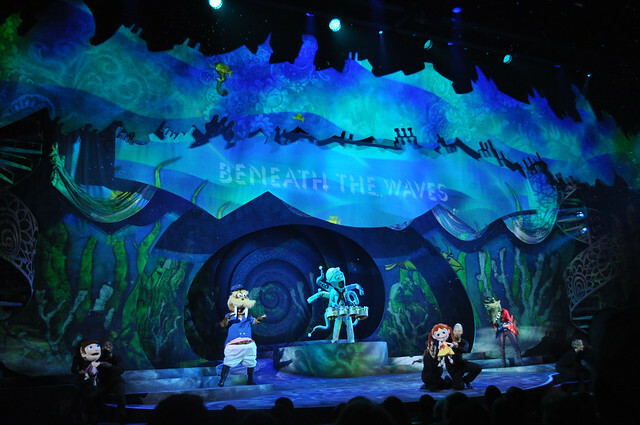 The show’s recognizable tunes, eye-catching visuals, and elaborate details will capture audiences, but the story might not always resonate with them. 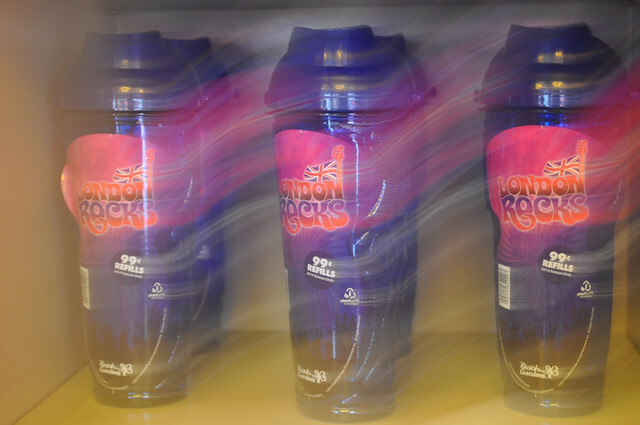 With its upbeat music and vibrancy, London Rocks offers a brand of entertainment that hasn’t been addressed by the park’s other live shows, and it is enjoyable for all ages and will delight and capture first-time guests and annual pass holders alike. 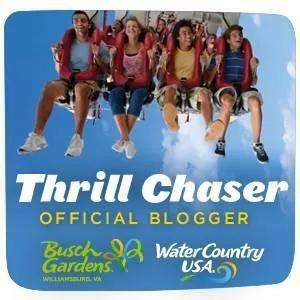 Inside the Magic is a member of the Busch Gardens Williamsburg blogger ambassador program, providing access to cover their new attractions, shows, and events. Speaking of Busch Gardens Williamsburg, when I looked up the current map of the park in aerial view version on Google Map, I find that there are some of clear open spaces around and throughout there and although I’ve never been to Busch Gardens Williamsburg before, I would of love it if they could expand it by cutting down trees and adding more of the rides, shows, restaurants, stores, attractions and/or sections, right? 1. I would love if they could add more of the European country-themed sections like Spain, Norway, Denmark, and Wales. 2. I would love if they could create two different themed sections for BGW which would be based on things that they’re originated from Europe like Europe’s famous fairy tales/fables and as well as BBC’s popular television show “Walking with Dinosaurs”. 3. I would love if they could create a 3D show that would be featured two of UK’s famous cartoon characters Wallace and Gromit. 4. I would love if they could create a nighttime musical fountain show which would be featured the most famous Japanese anime character and a mascot for Yamaha’s Vocaloid voice synthesizer brand Hatsune Miku if they have a big enough money so they could get the rights of her from that Japanese company who created Miku called Crypton Future Media. 5. 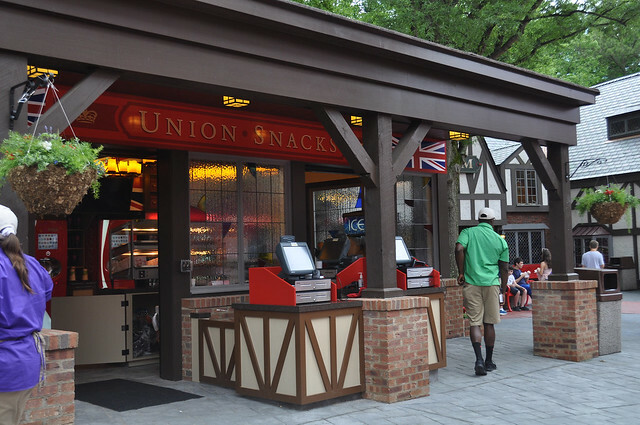 I would love if they could create a themed restaurant that would be a tribute to the most famous British rock star band group The Beatles. I’ve been looking forward to the new show but even more so after reading this. Sounds like great family entertainment! Cool..I live faaaaaaaaarrrrrrrrr away from London.I live in a Fat Country called America.sigh….Does New York count as England?No?Ok. I feel ya.Oh cool you live in America too?Well I don’t live in New York,but I Live in Oregon!Which is Far from where YOU live. This sounds like another good addition to BGW shows. Those pictures are great!